When he wrote these words in 1898, Tolstoy was already convinced that the enlightened peoples of Europe were so hypnotised by patriotism and orthodoxy and so brutalised by fear and punishments that conflict was more likely than not to remain a normalised feature of international politics. Dying in 1910, four years before his misgivings were spectacularly confirmed, he did not witness the full force of Europe’s collapse or the acrimonious division of the international anarchist movement with which he was closely, albeit reluctantly, associated. Had he lived, he would have seen its leading advocates locked in a bitter dispute about internationalism, anti-militarism and war. Considerable research has been inspired by the failure of the mainstream European socialist movement to prevent hostilities in 1914, but virtually no work has been done on the anarchist response. This is despite the fact that all of the belligerents hosted anarchist groups and dissidents, and that anarchism dominated what Benedict Anderson called the self-consciously internationalist radical Left in the years leading up to the war’s outbreak. Anarchism 1914-1918 takes a first step toward filling this gap. It looks at the bitter dispute about intervention that set former comrades Peter Kropotkin and Errico Malatesta at daggers drawn, in turn splitting the global anarchist movement into rival factions. 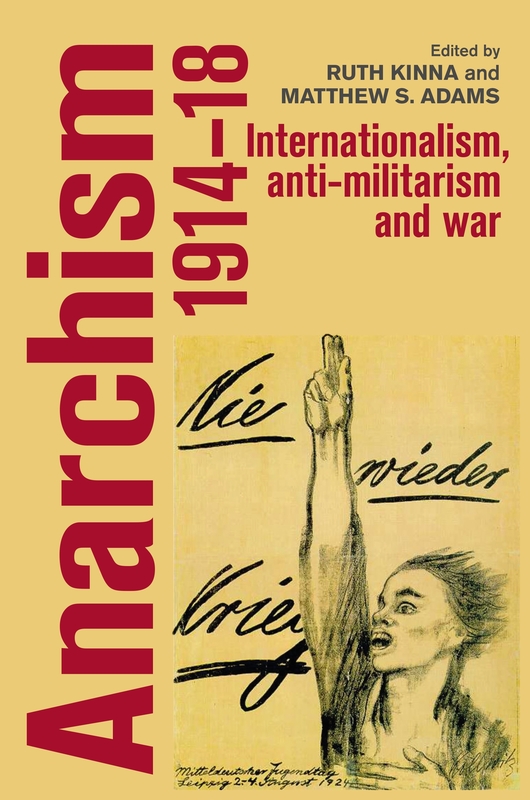 It examines the politics of internationalism and anti-militarism to explain this division and considers how their bitter dispute contributed to the re-shaping of post-war anarchist politics, particularly in the light of the 1917 Russia revolutions. Kropotkin’s controversial decision to throw his weight behind the Entente against the Central powers fittingly takes centre stage in contributions by Davide Turcato, Peter Ryley and Carl Levy. Its reverberations are examined in the US context by Kenyon Zimmer, in the Dutch movement by Bert Altena and the French by Constance Bantman and David Berry. The problems that beset anarchists in Germany are discussed in Lukas Keller’s account of the Kaiserreich and some of the complications of internationalism are examined in Ole Birk Laursen’s analysis of the murky plots that prompted Swiss anarchists to support Indian anti-colonial nationalists, working in cahoots with the German high command and eager to take advantage of Britain’s distraction. Essays by Kathy Ferguson, Matthew Adams and Allan Antliff show how the combination of war and revolution brought well-honed anarchist conceptions of violence, state power and mutual aid into sharp relief, stimulating new approaches to resistance, transformation and social relationships that were fundamentally shaped by renewed anti-militarist commitments. Anarchism was transformed by the experience of war, as many individuals were, too. The cover art by Käthe Kollwitz proclaims ‘no more war!’ The power of her irresistible, distressed cry was magnified by her subsequent change of heart, catalysed by the loss of her son on the front. The image also perfectly captures the starkness of the choice that many revolutionary socialists – anarchists and non-anarchists alike – believed they confronted in those years: war or revolution, militarism or anti-militarism, nationalism or internationalism. Framed in this way, Kropotkin’s stance is usually seen as a betrayal of principle explained by his Francophile patriotism, or the seductions of Fabianesque liberalism. One of the central findings of this volume is that, far from describing two static positions, the division between pro-war and anti-war anarchists emerged from a complex of ideas, importantly shaped by local political and cultural contexts, about the kind of peace that capitalist states maintained, the causes and likely effects of war, and the ensuing processes of revolutionary change. Far from reflecting a straightforwardly dichotomous choice, anarchism’s crisis was informed by a rich intellectual contestation of core principles. The anarchist war debates reveal quite a lot about anarchism’s distinctive theoretical makeup. As anarchists interrogated the politics of anti-militarism and rethought the politics of internationalism they were all the while engaged in an effort to theorise the role of anti-colonial struggles in the context of revolutionary change, to understand how war preparedness shaped gender and sexual politics, and to imagine new ways of creating a free society in the face of unprecedented governmental intervention. If the focus on Kropotkin and Malatesta’s sparring is unduly dichotomous in overlooking the range of positions anarchists assumed on the war, it also obscures the tactical and theoretical plurality that is a hallmark of anarchist political theory. The war undoubtedly underlined anarchism’s failure to find a simple solution to the ruinous violence created by the state and capitalism, but the anarchists’ reactions to this moment of crisis also highlighted the depth, variety and complexity of the critique they had pressed in the years leading up to it, and the ludicrousness of the familiar representation that simply cast them as dangerous, chaotic and threatening. 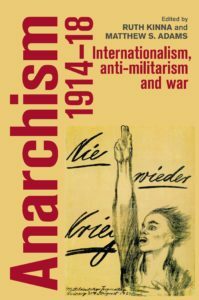 Anarchism 1914-1918: internationalism, anti-militarism and war publishes in June 2017 and is available to pre-order now.